Print the scholarship application for the 2019-2020 school year. 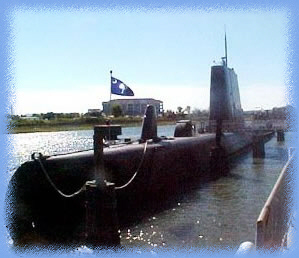 The Clamagore Veterans Association (CVA) established this scholarship / Award to recognize and memorialize those who have served aboard The USS CLAMAGORE (SS-343). This is the Third time the Scholarship has been offered by the CVA for eligible Life Members. We are happy to announce that awards in the amount of $500.00 each have been presented to two members who are continuing with their education in their chosen field. Hannah will be attending Franklin Pierce University in Rindge, NH. She will be pursuing a DEGREE IN Phychology / Criminal Justice. View Thank you Letter From Hanna. Spencer will continue his education at either Fitchburg State University or Becker College. He is studing in the field of Game Design. We wish the best to both of them with their studies and goals. Thanks to Jackie Heard and the CVA Officers with their assistance in selecting the above recipients. Hal Tatlow IC1(SS) USN Ret.